10/27/2015 Good prices, got rid of the bugs and haven't had a problem since. Definitely recommend! 10/06/2015 I am terrified at the idea of bed bugs and when I heard about a co-worker possible having it I instantly contacted Anthony Deslo to have him check my home. He check all the rooms top to bottom for over an hour inspecting baseboards, linens, mattress, box spring you name it. He was incredible thorough and verified to me that I was fine and gave me preventative measures and how to spot, how much to exterminate and promised a guarantee if I needed to call him back. He was the most professional, courteous and ideal bed bug exterminator. I will not call anyone else! 09/30/2015 Before having Alex treat my house I had another company from the Valley and paid over $2000 for the heat treatment and when I saw I still had a problem they wouldn't back up there work. Than I called Phoenix Bed Bug Experts and Alex came to my house. Having bed bugs is one of the worst things that could happen to any one. Alex was wonderful, explained everything that he would do and was such a help thru the whole process. My month was up today, and they called me to see if everything was OK, and it is. I am sleeping again and feel like I have my home back. Thank you all so very much and I would recommend you to anyone that may have a problem. 09/24/2015 Robert was very nice and examined to me the different treatments that were available to me. He was very patient with me when I kept calling him about the different items that were not the on list that he gave me in order to prepare my home before spraying. He was very nice to me and I did not feel like I was being a pest. I would recommended this company to everyone. 09/22/2015 Contacted other bed bug "specialists" but they didn't come close to offering the service received from Phoenix Bed Bug Expert. They really took the time to inspect and showed me that they cared. I researched companies online and Phoenix Bed Bug Expert had the best reviews. They also offered the best price. They weren't the cheapest, but definitely not the most expensive either. 09/18/2015 Great company, provided fast service and gave us an excellent price. Highly recommend doing business with them. 09/16/2015 Everything was excellent. Great service!! Very knowledgeable. 09/15/2015 These guys are the real deal. They give you all the guidance to help you get the house prepped for them. They go above and beyond to make it affordable for anyone. They offered a payment plan and are very knowledgeable about their product and on the bugs. The guy that sprayed our house was really nice and very easy to talk to. Overall i am very pleased with his services and will definitely recommend him and the company over and over again! 09/08/2015 Anthony was very helpful in finding the best treatment for our pest problem. We looked around with other experts before finding these guys. We decided to go with them, because he was very fair and gave us a reasonable price for the treatment we were getting. I would highly recommend giving these guys a call. Thanks again. 09/02/2015 I was so freaked out when I discovered I might have bed bugs! I wanted fast service and I got it! Alex was so amazing and took time to educate and reassure me about these bugs and the treatment. I would highly recommended this company to others. What is so reassuring is that they back their work with a warranty to come back if another treatment is needed. If you are unfortunate enough to pick up these bugs call this company to take care of you because what is worse than getting these bugs is spending a fortune with another company that doesn't have the same expertise and will not back their work when the treatment doesn't work. After the treatment Alex was kind enough to take my calls even on a weekend when I had more questions. It made a really difficult situation a little easier to deal with! Thank you Alex! 08/26/2015 Anthony was a great help. Very friendly and he was also on time. Offered all options to get rid of bugs answered all questions with no hesitation. Very friendly and will also works with you if you don't have everything up front. Thanks again! 08/23/2015 From the moment I spoke with the company they were friendly, open and honest. I had fought bed bugs until I was ready to move. the Bed Bug Experts walked in on my schedule and I am now slightly over a year without a bug. The price seemed off, but when I added up all the mattress and box spring covers, trips to the dry cleaners, new bedding, oceans of bug spray, it would have been cheaper to go with them in the first place. Highly recommended. 08/13/2015 Supporting your local business is an act you see slowly disipating in this day and age. With corporate conglomerates and franchised business sprouting out of every nook and cranny the local business is being dropped by the wayside. With these business focusing on cost instead of their customers, it's refreshing to see such a change of pace like the example Phoenix Bed Bug Experts puts forth. With their truly exceptional customer service and intensive knowledge base of their profession it's an easy sell with this group. The owner Anthony is a humble guy that is more than willing to lend a helpful hand and a comforting smile in a time that is bleak. Being the great guy he is, he was willing to negotiate on price for my single mother which is a rare sight in this economic climate. 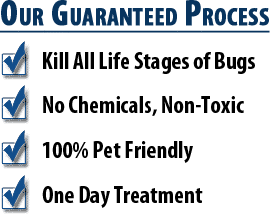 If you are the type of person that seeks being treated like a human being in a business interaction instead of a bank account, Phoenix Bed Bug Experts are the only choice in pest control! 08/07/2015 Just wanted to say thank you to Tyler specifically. I'm from out of town staying at a hotel and found the dreaded bed bugs this morning. Called and just was asking for advice and he helped right away. No hesitation. Thanks for the help I really appreciate it! These guys really do care about the customer. 08/05/2015 If I could give a higher rating for PHX Bed Bug Expert I would. Anthony and Tyler were amazing! My family and I were told by a company that we had bed bugs. I was up for hours and not sleeping being told of this nightmare not only about the infestation but the cost to get rid of them. I felt like an angel was watching out for us when I called Anthony. Anthony and Tyler conducted business in professional manner, and gave our home a thorough inspection. I would highly recommend this company. If the need should arrive, I will be calling PHX Bed Bug Expert! Thank you so much for our peace of mind! 08/02/2015 I have never had bed bugs in my life and when I found out that they were all over my apartment I literally felt like my whole world just crashed on me! I wasn't sure what to do but my brother in law called a few places all which charge $150 or more just to inspect for bed bugs. However by the grace of God Anthonys number came up and within three hours he was at my apartment. It was such a relief to meet Anthony and have someone listen to my dilemma, very respectful and great mannerisms to say the least. I would personally want to hangout with Anthony that's how cool of a person he is, very down to earth. The following day Tyler showed up to start my treatment heat/spray and he was the exact same way as Anthony, awesome in every way possible. The treatment went great and I highly recommend these guys! 07/23/2015 Tyler was very professional and detailed. He assisted our problem and attended promptly. Thank you. 07/14/2015 Is there ever a good time to find out you've got bed bugs? After several episodes of freaking out in between Google research, you realize it's time to make a phone call. I wanted someone who knew what they were talking about and could guarantee we'd be bed bug free. My wife wanted someone we could would feel comfortable letting into our home. We got all that with Phoenix Bed Bug Expert, and they even custom-tailored their treatment to fit our home and our specific needs. It's like they were serving us they same way they would for their own family, and I don't think that's something other companies can imitate. These guys just have it and it's more than we could have asked for. 07/06/2015 These guys are truly professional and trustworthy. We thought we had a bed bug problem after our daughter had unexplained bites on her legs, and we found some bugs that looked like bed bugs (as determined by amateur googling) in her room. We panicked and called the PHX Bed Bug Expert. They came over promptly, and did an extremely thorough inspection. Luckily, they found no signs of bed bugs. So they didn't recommend any treatment. Why does that make them awesome? They could have easily been less than honest, or said "just to be sure we should do a treatment", or some such. We would have agreed to anything, being in a nervous freakout about a bed bug infestation. But they did no such thing, didn't charge for the inspection, and told us how to get rid of the carpet beetles they actually did find. Amazingly honest. I was very impressed. 07/05/2015 Never thought I would have bed bugs, but when I found out I did I searched several companies and Phoenix Bed Bug Expert was clearly the best. Loving that one year warrantee. Would definitely recommend to family and friends. 06/25/2015 I never write reviews, but I had to take a minute to give Phoenix Bed Bug Expert's a review because the way they dealt with such an annoying problem was very professional, fast and caring. 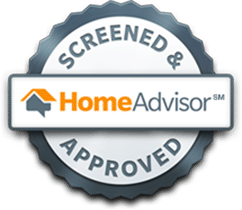 After my first called they immediately showed up to my home for a free inspection, they told me the best method for my home and within days the problem was solved. It's been over a month since my home got treated and I have not had any problems with those annoying little bugs. 05/16/2015 Anthony and his team were extremely punctual, affordable and professional. I am very happy with the customer service I've received and the quality of the work. 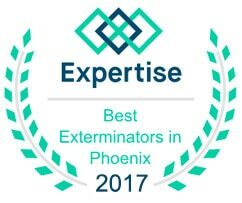 I would definitely recommend PHX Bed Bug Expert not only for bedbugs, but for everyone's pest control needs! 04/28/2015 I contacted other exterminators and their price and warranty was to much for so little. I finally called Anthony at Phx Bedbug Experts. He quoted me less than the others and i have a 1 year warranty. He was very professional and could answer all of my questions. He heated and sprayed the whole house and i haven't had any bites or sightings since. I waited a few weeks to write this review to be sure the bugs were gone, and they are. I would highly recommend this company for your bed bugs exterminating needs. 04/28/2015 Anthony treated my house and yard for scorpions, ants and many other insects that have been an ongoing problems for a couple years. After using several other exterminators Anthony finally got the problem under control after the first treatment. He was reasonably price, showed up on time and is very knowledgeable about what needed to be done. I would recommend using Phx bed bug for all your pest control needs. 04/22/2015 I tried DIY treatments but after waiting weeks for results, I decided to look for a pest control company. I found Phoenix Bed Bug Expert online and was impressed with all the reviews. I called and spoke to Anthony who offered a free inspection. He arrived on time and checked for bed bugs in every room. I went with the heat treatment and after he was done, I haven't seen a bed bug since. Thank you Anthony! 03/11/2015 When we learned that a house guest had brought bed bugs into our home over the holidays, we were pretty freaked about the situation. Anthony was wonderful, very patient with us. He is very thorough in his work. He gets my highest recommendation. 03/04/2015 Having contacted several local companies prior to Anthony, we were quite impressed with His professionalism, courtesy, and attention to our specific needs. In the end, these attributes, along with several of his other, would be the deciding factors in Anthony beating out all of the competition. There were so many questions. "How soon can you come out?" "How bad is it?" "Can you get rid of all of the unwanted house pests?" "Do we use Heat or Chemical?" "How much will this cost?" Anthony painstakingly addressed each and every concern we had and at the end of the initial inspection were satisfied that not only was the situation much more manageable than we had presumed prior to his inspection, but that we were real people with real lives and not some "job" that Anthony needed to take care of. In our particular situation our problem was confined to one room, actually one piece of furniture, and Anthony went the extra mile in confirming that was truly the case. I cannot express enough how pleasant and articulate he was during this entire process. Our emotions were calmed right from the beginning. The actual treatment day was within 96 hours of the initial inspection due to our removing flooring items from the home. Not because of this, however it seemed an appropriate time to do so. On the day of the treatment, Anthony arrived on time and waited as we made ready to leave the home. Several months later now, there has been no return of the pests, although we will have Anthony back out to reinspect in a couple of months. I haven't mentioned pricing to this point because the customer service is his forte. Pricing is very negligible for the service that is being provided. I can summarize this way. He was not the least expensive, nor remotely close to the most. His prices, in my opinion, are very reasonable for the quality of service he provides. Since this is a somewhat costly problem to begin with, be relieved knowing your dollar will be well spent with Anthony. I would not hesitate to call him again, nor do i hesitate in sharing this information with my friends, family, and strangers. I am more than pleased with PBBE, and will, God forbid, use them exclusively in the future if need be. Anthony, thank you again, and your partner as well. You were a bright spot in a dark moment in our lives. We believe in you and your business and pray that you will do well in all that you endeavor to do. 02/19/2015 when I first found out I had a bed bug issue, I immediately went online looking for an expert. I had 4 different companies come out to my home and do an inspection and explain the type of treatment and cost. I decided to go with phoenix bed bug expert after meeting with Anthony. He explained exactly what he was going to do and was willing to work out a payment option. I am very pleased to say we NO LONGER have bed bugs. I highly recommend this company! 02/16/2015 Anthony was extremely friendly and courteous, showed up on time, and did great work. No bed bugs were found after heat treatment. I hope no one has to go through the experience of having bed bugs, but if you do, I would recommend Anthony to get rid of them. 02/10/2015 After days of search for a bed bug exterminator, I came across Phx Bed Bug Expert. Anthony was great and easy to work with. Received clear instructions on prepping the home prior to the treatment being done and the price was one of the lowest I found. It’s been about 3 weeks since the treatment and there are no signs of bed bugs anywhere in our home. 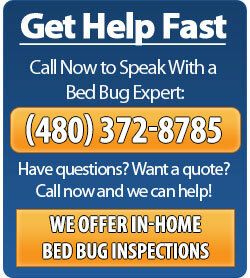 I would recommend Phx Bed Bug Expert to anyone that might have a bed bug problem. 01/27/2015 Owner was extremely friendly and courteous, also did a quick job and no bedbugs to be found after the first treatment! Highly recommend for value and ease. Cheers! 11/20/2014 My elderly mother called in a panic about bug bites. I called Anthony and he turned out to be her savior. She was very distraught as she is a clean freak, but never the less she had them in her home. He went inspected and gave her a great explanation of how she could be a good housekeeper but still get the bugs. He made her feel better and took care of the problem. He was such a caring man and gave such good service. She is very happy and grateful to Anthony for his help and concern. I would highly recommend him to anyone with a bed bug problem. 10/29/2014 Had an AWESOME experience! They were so Friendly, Caring, Very Thorough, private and came right out! Haven't seen one bug since the day the came out! Would highly recommend! 10/27/2014 Very professional, knowledgeable, and polite. Half the price as other services i called but just as effective. Stronger and longer lasting chemicals that are family and pet safe the same day of spraying. Seemed very trustworthy. I felt very comfortable leaving them alone in my house and with my belongings. If i ever need bed bug removal again in the future , this is who I'd call.